If you are looking to install a security surveillance system in your home or business, one of the decisions you have to make is whether to go with an IP, also known as digital, or analog camera. Deciding on IP versus analog cameras is not necessarily a simple decision as there are advantages and disadvantages to each style of camera. We will explore some of these differences more in-depth so you can determine which option is right for you. The main difference between an analog and IP camera is the way in which the video signal is delivered. Analog cameras turn the video signal into a format that can be received by a television or other receiver such as a VCR or monitor. An IP-based camera, also known as an IP network camera, digitizes the video signal using a specialized encoder that contains an onboard web server. This allows the IP camera to act as a network device, thus allowing captured video images to be viewed not only through an existing network but also through a web browser that can be accessed through the Internet. Both analog and IP-based video cameras can transmit signals either wirelessly or through wired connections such as Cat-5 cables. IP-based cameras have the added benefit of being able to use switches, hubs, and routers that allow the Cat-5 network to be expanded to much broader ranges. 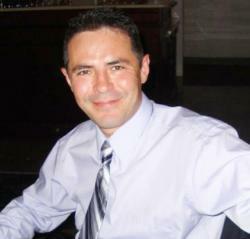 Lower cost – An analog system is more affordable and usually is more than sufficient for remote monitoring. Greater flexibility of design – Analog cameras often come in a larger variety of designs such as mini covert cameras to large PTZ models. If you have unique surveillance needs you may find it easier to find the style of camera you need in an analog model. Superior compatibility – It is much easier to mix and match cameras and brands if you use analog versions. This can make it easier if you already have existing camera equipment that you wish to incorporate into your surveillance system. Lacks certain features – Many of the basic analog cameras often lack some of the more advance features such as digital zoom. Potential interference problems – If you are installing a wireless surveillance system, analog systems can have interference problems. More importantly, the resulting signals cannot be encrypted. This can potentially mean that someone else can view the signal. Long distance applications are more difficult – If your surveillance needs encompass a wide area, analog cameras may not be your best choice. Analog cameras generally do not accommodate big distances, and getting them to work over broad ranges can be difficult. IP security cameras, also known as digital cameras offer the latest innovation in surveillance technology. 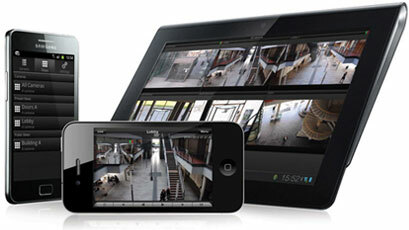 The main benefit of an IP security camera is that they are high resolution and provide a very high quality video. A high quality video allows for facial recognition, license plate recognition, or the ability to digitally zoom distances of 100+ ft. The resolution is normally 2-3 times higher than an analog camera. IP video cameras capture an analog image but immediately converts it to digital inside the camera. Some digital processing can happen right at the camera, such as compression and motion detection. Like an analog system, video is recorded on hard drives, but since the video is an IP stream straight from the camera, there is more flexibility as to how and where that video is recorded. The DVR is replaced with an NVR (network video recorder), which in some cases is just software since it doesn’t need to convert analog to digital. Video footage can then be stored on new or existing network RAID drives as directed by the NVR software. Another benefit to digital video is that it is much more compatible with wireless. Wireless analog systems are available, but they either have to convert to digital anyway and broadcast over the 802.11 IP network (which adds cost for encoders), or they get crammed onto the over saturated regulated frequencies and often encounter interference. Better wireless reception – IP cameras have encryption built right into them providing for a more secure network. Interference is also not a problem with IP-based models. Can utilize existing wiring – Because IP-based cameras act as their own network device, you can often take advantage of existing network wiring within your home. This can make the installation task much easier. 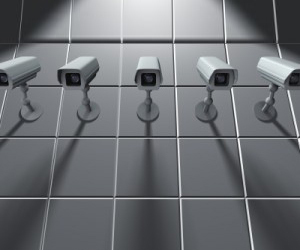 Remote access can be easier – IP cameras are better suited for remote surveillance needs. Higher cost – Because of the additional technology that is built into each camera, the cost is generally higher that analog versions. Higher bandwidth required – IP cameras require more bandwidth than analog cameras. Given the pros and cost of each camera type, the decision really comes down to your specific surveillance needs and your budget. With an accurate assessment of your needs, the decision of which camera type to go with will become much easier. 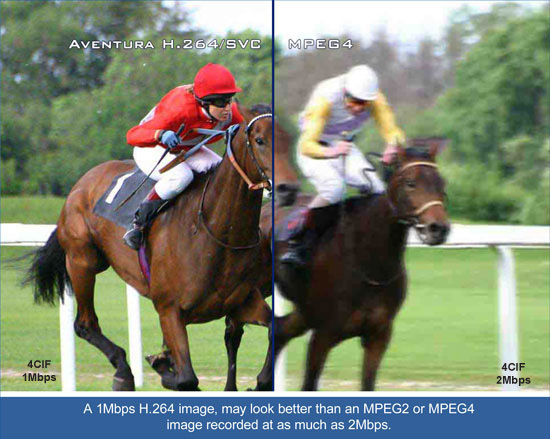 Previous post Why the Buzz About H.264?